Let us help you achieve the highest return on investment possible through your website. At Sharpe Digital, we don’t just want to increase the number of customers landing on your website through good search engine optimisation. Instead, we want to make sure that when people visit your webpages, they then take action and engage with your brand’s product or service. Our conversion rate optimisation service is focused on data. Through monitoring the engagement rate and bounce rate of your site using Google properties like Analytics and Google Search Console, we can make huge improvements to the performance of your site. Want to know which aspects of your site are resonating with your audience? Which elements are obstructing your website users from getting in touch with your company? 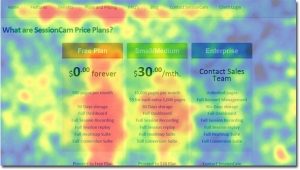 Heatmapping lets us see in real-time exactly how your potential customers are interacting with your site. Wouldn’t it be nice to identify the exact demographic of your ‘perfect’ customer and get handfuls of those individuals into a room where you could watch them use your website? 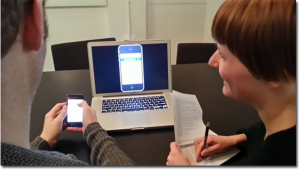 With our carefully organised user-testing days we do exactly that, getting in a room with your potential customers, different devices and your website! The Sharpe Digital team create a bespoke questionnaire and brief based on your website’s goals and aims. We then engage with a cross-section of your target demographic gaining invaluable feedback that can be used to make changes to your site which will skyrocket your conversions.